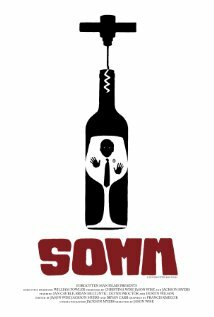 Without too much fanfare, Somm, a documentary following the quest of four Master Sommelier candidates, opened at the Denver Film Center yesterday. The only scheduled showings at this point are this Saturday and Sunday only! They say you never know how much you don’t know until you really start delving into something. So if you have ever wondered just how much there is to the world of wine, it is a must see. Being somewhat familiar with the format of the examination, I took great amusement watching the quartet squabble about whether a wine was a Côte Rotie or Hermitage while practicing their blind tastings. As well as them discussing the finer points of wine descriptors- fresh cut garden hose anyone? Regardless of your level of knowledge of wine, the film is certainly worth seeing. Unlike so many modern documentaries, the film steers clear of any overt agenda, realistically painting the cast of characters as professionals instead of martyrs or restaurant industry rock stars. I can imagine that the ad nauseum discussions about how the wines taste may seem highly pretentious to some, but that level of precision is what characterizes the profession of sommeliers. It will also give a high level of appreciation that Boulder is home to 5 of the 186 worldwide Master Sommeliers. Other notable cities with 5 Master Somms: Chicago, Seattle, and New York. Not bad company at all! If you do go, pass on the ticket that comes with a glass of wine. I was more than a little disappointed that the sponsored wine selections were Beringer Chardonnay and Merlot. It is also available on itunes, so might I suggest downloading it and hosting a blind tasting party. That will give true appreciation for what these individuals are up against! Next Next post: Don’t Fret Folks, There’s a New Laughing Goat!